Welcome to our web page site! We are finally back at our web page building. We would like to appoligize to everyone that has dropped by over the past couple of years and have not seen any changes. With some health issues the site has gone unattended for a while and passwords lost, but now we are hopefully back on line and can update folks on our ministry. Your comments and suggestions would be appreciated. 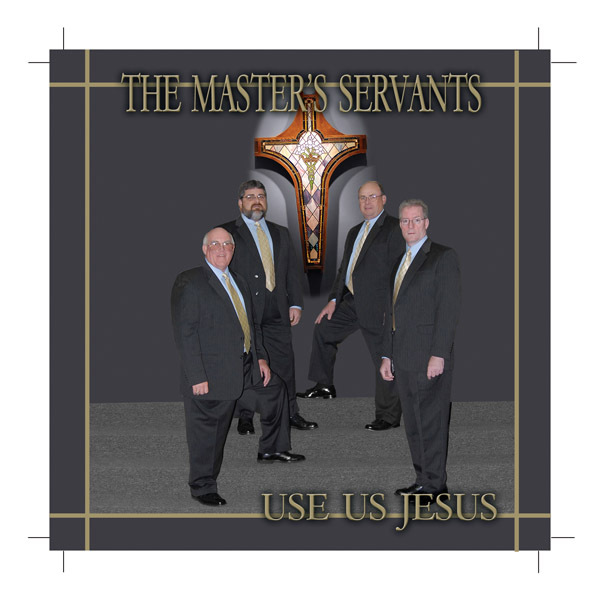 The Master's Servants Quartet has been dedicated to southern gospel music since the group was established in 1982. Our quartet has served churches and religious organizations in central Kentucky for almost 20 years, carrying the message of Jesus Christ in four part harmony. Our new recording project is called "Use Us Jesus". As you listen to the title song we hope you come to appreciate the God we serve, and come to realize the fact that you can be used by our powerful Savior. He has a use for us all if we just accept that fact and open our minds to His calling. That song embodies the mission and purpose of The Master's Servants. That purpose is to spread the message of God's love to as much of the world as we can reach. We hope our music serves to extend the ministry of the Master's Servants and this new project can carry the word of God to places we can never go to in person. We have listened to and enjoyed some of the finest musical blends you can imagine for most of our lives. Almost 30 years now we have enjoyed just as much singing God's message in song. If we are near you for a singing engagement we would love for you to come and hear that message. Please come by and introduce yourself and let us know your comments about our site. Please give us your inputs. We need to know what you would like to see on our site. We would love to know that you have been by. We also want to know what you dislike about our site. As you can see our site is one that the site provider requires the top banners. We do not have any control of what those banners are. We hope there will never be anything that will be offensive to anyone. If you see something please let us know and we will try to check on it and fix it if possible. There are E-mail addresses on the site at different places. Here are those addresses and our guest book for your convenience. Please use them for suggestions, praises, prayer concerns, or just to say hello. Do sign our guest book so we will know you were here. Thanks for dropping by to see us.